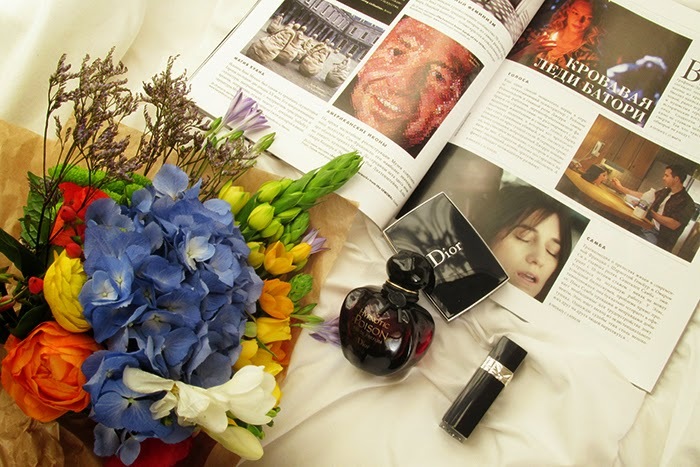 Passionate poison from Parisian Dior. My most favorite perfume of them all. A very special perfume to me. There are several moments about it that make it so special. First of all, it's a thing we are used to call 'my kind of perfume'. One without which you probably can't imagine yourself. The kind of a perfume that complements you, becomes a part of you. The kind of a perfume that seems to be a little piece of puzzle you were lacking. You might think I'm exaggerating right now when saying 'it complements me and blah blah blah'. But the thing is people around me, especially my friends, people who know me pretty well, they do state that such kind of fragrance, pretty strong, suits me perfectly. Funny, but even I myself noticed when I have Hypnotic Poison on I tend to behave more like me, the way I really feel deep deep inside. As if the 'poison' releases my inner Jinn. And, thirdly, it's the combination of ingredients that makes the Hypnotic Poison perfume so Oriental-like. It's very bold and strong at the same time. And pictures the image of Oriental countries in your head. Big Eastern-type castle at night surrounded by endless garden filled with incredibly beautiful and aromatic flowers. A light lightning makes you step inside the castle and find yourself in an enormous room with Oriental style interior. The same light lightning will take you further and when you finally open this door your eyes see a picture of... that's a mystery now. A mystery created by Dior's Poison. It will stay with you. Forever. Speaking of the ingredients, the three most obvious notes of Hypnotic Poison are sambac jasmine, tonka beans and vanilla. 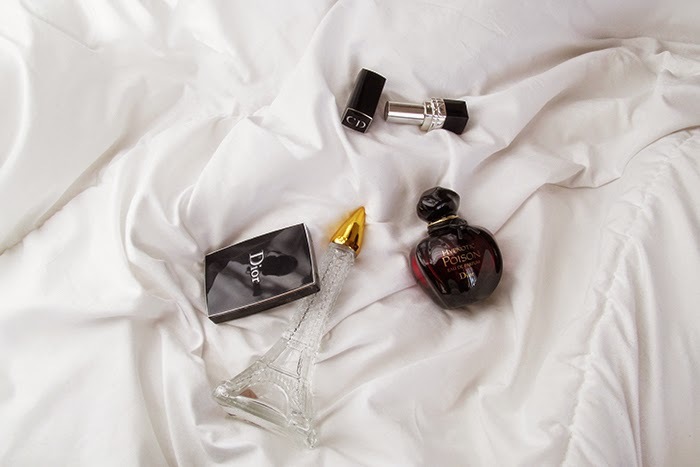 The notes that hit your mind, senses, body nerves and so on when you happen to come across this perfume. In case you doubt about the hitting moment I can assure you with the fact that I happen to be stopped and overtaken by people in the streets with the question "What's that perfume? So good..." or "Isn't this the Dior's Poison?". The second question is more asked by those who seem to be familiar with the perfume. Finally, it's the image of Monika Bellucci who happened to star in Dior Hypnotic Poison ad. I guess so far the best celebrity female to match the perfume. The sensual Italian beauty in a company of dark eyes and hair is something you do associate the perfume with. Is there actually any female who doesn't adore Monika, at least in her looks? I'm not even talking about male audience out here. So, yes, I believe there are plenty of women who would love to associate themselves with Monika Bellucci. Do I? To be honest, I wouldn't mind at all having just a tiny bit of such beauty and charisma. P.S. A little, just tiny tiny piece, of advertising, promotion or word of mouth, you call it. 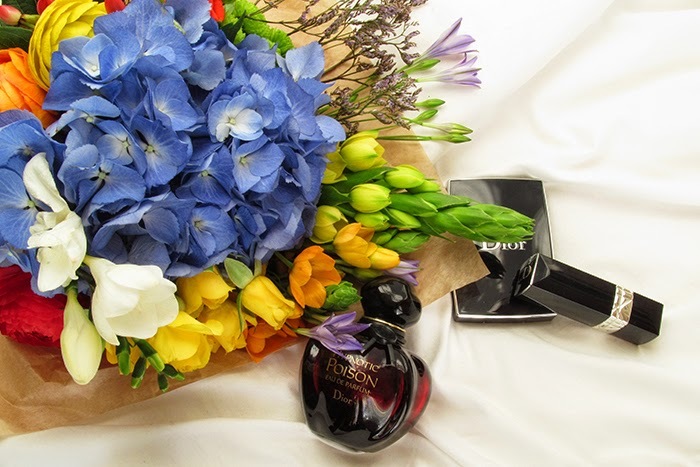 You might have already spotted a very colorful and Spring-y bouquet that did perfectly complement today's Secret Beauty Box story. It was gathered by magical hands of my Victoria from Veretteno and now also from Ziedu Sēta. If you happen to be in Riga and are looking for a perfect bouquet then run straight to Puškina iela 18 (yeap, that's the address) where several beautiful ladies will create a bouquet tailored to your preferences ( I mean order). Flowers are waiting!